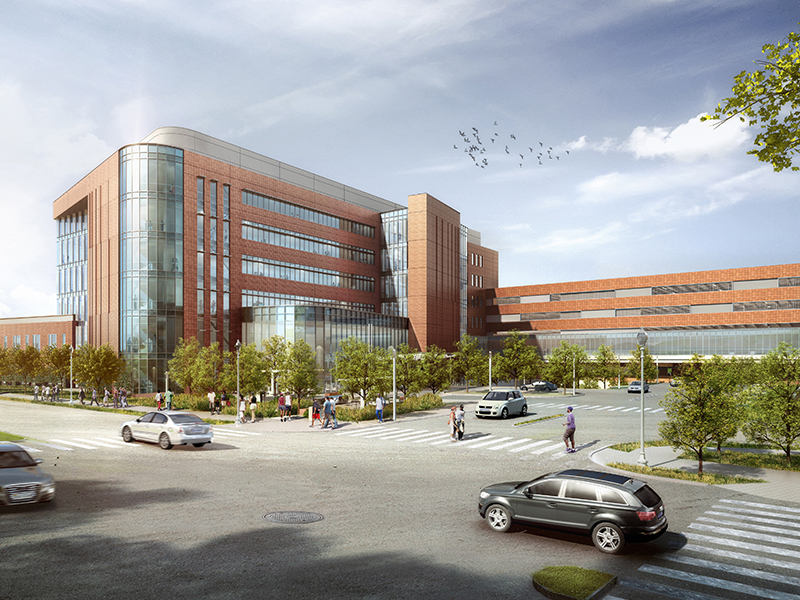 On November 27, 2018, the Arlington County Board approved a rezoning, site plan amendment, and use permit amendment for a significant expansion and renovation of Virginia Hospital Center (VHC). VHC is located on North George Mason Drive, north of its intersection with Washington Boulevard. Surrounding development consists of single-family homes and townhomes. The Hospital is a not-for-profit and the only hospital in Arlington County. The last major changes to the Hospital campus were approved by the County Board in 2000. 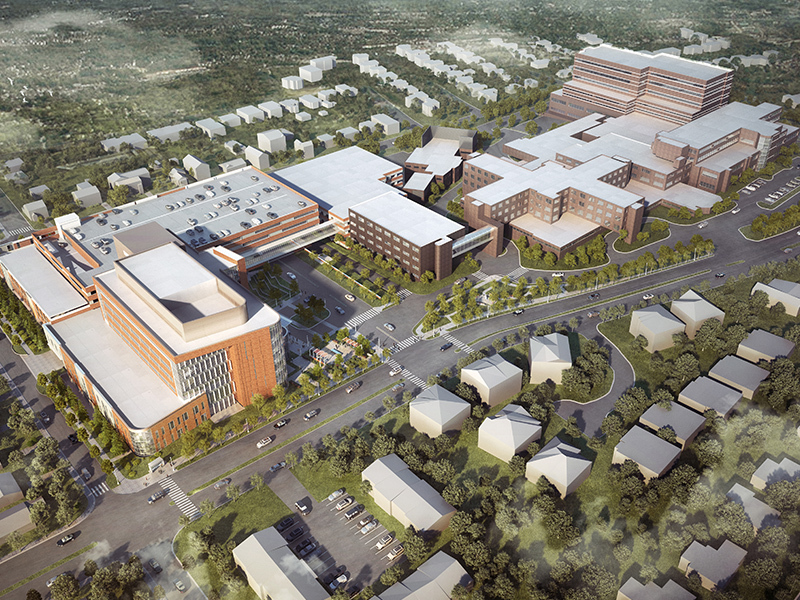 Without additional room to grow on the existing campus, and faced with the urgent need to expand its capacity to treat patients, VHC reached an agreement with Arlington County in 2015 for a land exchange where the Hospital would receive the “Edison Site” which is a 5.6-acre parcel immediately adjacent to the existing Hospital campus. VHC proposed to seek zoning approvals for the Edison Site, in order to accommodate a new 245,428 square foot Outpatient Pavilion. The proposal also included approximately 1,694 additional parking spaces, increasing the overall parking supply on the Hospital campus to 3,726 parking spaces. The applications also included the expansion and renovation of hospital and medical office uses within the existing site, which would ultimately accommodate 101 new hospital beds. VHC’s goal is to consolidate existing outpatient services on the Edison Site, freeing up space in existing buildings for expansion of the inpatient hospital facilities. Long term, VHC intends to focus inpatient care on the south side of the campus and outpatient care on the north side of the campus. The approved expansion and renovation is a significant step forward toward achieving these goals. The County Board’s approval followed a three year design and review process, including over thirty-seven community meetings, eight open community forums, six Site Plan Review Committee meetings, and three County sponsored open houses. The project was originally considered by the County Board in September, and deferred for additional design changes focusing on pedestrian circulation through the site. Throughout the process, VHC made a number of design changes in response to feedback from neighbors, Arlington County staff, Planning Commissioners and County Board members. The resulting design is a careful balance of community feedback and the need to provide low-cost, efficient, and effective healthcare to Arlington residents. Managing Shareholder Nan Walsh, with the assistance of Nicholas Cumings, represented Virginia Hospital Center on this matter.